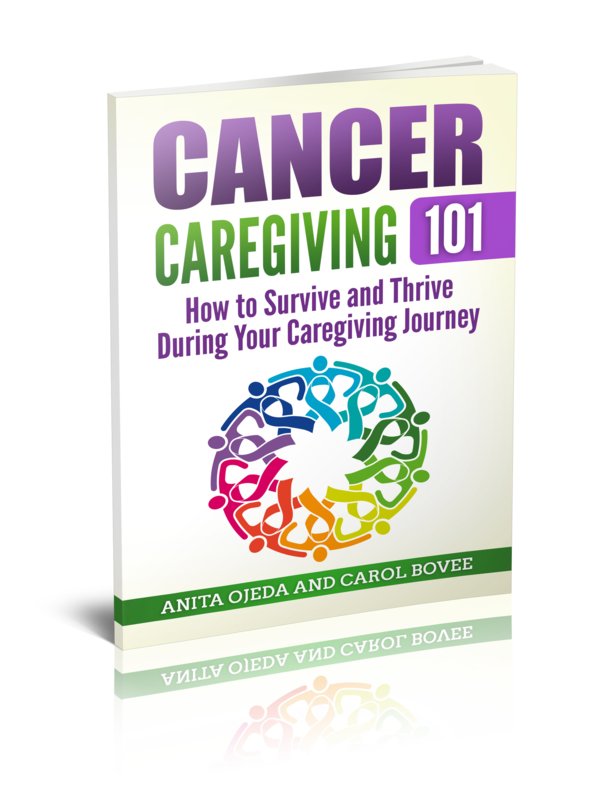 Right before my caregiving journey, I found out that a dear lady and her husband (parents of Pedro’s students) were in the midst of their own cancer journey. He had prostrate cancer—and his health and healing became a matter of daily prayer for me—even during my darkest hours. Even though I didn’t know the family well, I felt solidarity in knowing that someone else traveled at the same time I did. Of course, I didn’t know how to do anything BUT pray for my fellow travelers—I felt uncomfortable calling them to check up on them (plus, I hate talking on the phone) because I didn’t know them THAT well. And her husband’s diagnosis wasn’t the kind of show-up-with-a-casserole-catastrophic kind. But prayer, I could do that! It turns out that the dear lady happened to be one of the chaplains at our local hospital, and from her I learned how to give comfort that encourages and brings relief. She made herself available, but didn’t push. She never visited with an agenda, and she never outstayed her welcome. She assured me of her continued prayers for Pedro and for me. She organized a funds drive at her church and left a check for $2,000.00 with a sweet note for us right before we headed to San Francisco. 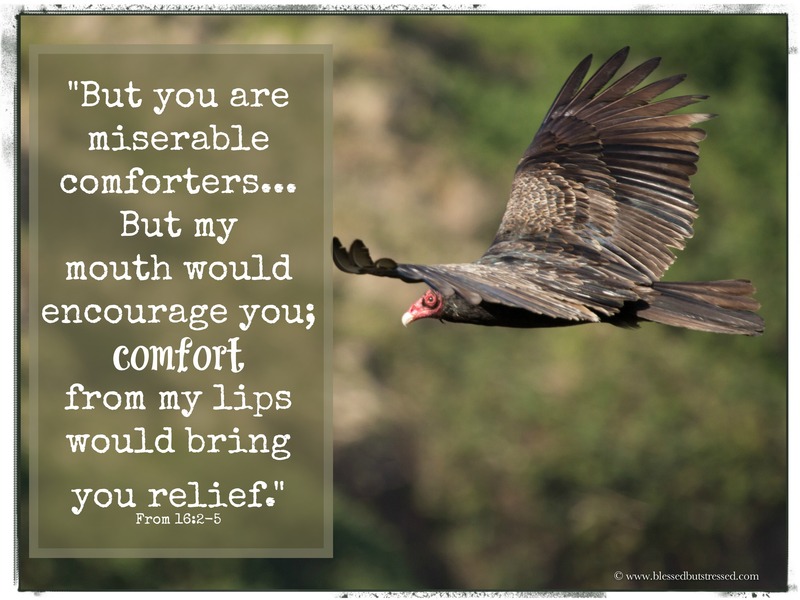 Not everyone offered the same kind of comfort (I’m sure you’ve run into other types—the Bible pretty much covers them in the book of Job). When disaster struck, some ‘comforters’ arrived on the scene armed with anecdotes of how they had suffered. Or, of how their next-door-neighbor’s-first-cousin-once-removed suffered from nearly the same ailment and found miraculous healing through memorizing scripture and self-administering carrot-juice enemas twice a day. Some comforters arrived with a stricken countenances and eagerly awaited the moment when they could hear the afflicted one’s confession of sin (I call it dragging in an elephant). They never came right out and accused Pedro of harboring a secret sin that caused his cancer, but the implication lurked in the room. Some people comforted from afar…some times, from too far away. Maybe they didn’t know what to say in response to all of the bad news (that’s pretty much all I sent out in my update emails to those who asked to be on the list). I’m sure they felt it was better not to say anything because the situation seemed so hopeless. Maybe your comforters barge in barking orders to bewildered bystanders; questioning the medical process (without really understanding what’s going on) or pressuring the ill one to try alternate therapies or some great cure they’ve heard about (shark cartilage in Cuba, for example). Those close comforters that wanted to direct the orchestra always added extra stress and discomfort because as valued friends or family members, it was hard to know how to respond to their ‘comfort.’ Stay silent to keep long-term relations positive? Speak up and offend someone? We have stacks of cards from friends and strangers, not to mention files of encouraging emails (our journey took place long before the advent of Facebook and twitter). We cherish those kind words as memorials to the prayers that others offered on our behalf. you are miserable comforters, all of you! Will your long-winded speeches never end? What ails you that you keep on arguing?